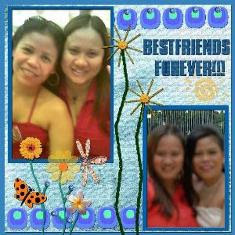 She was my classmate in college, we were not really friends then since we only knew each other in the classroom. While we were in college she left and never came back to school again I always wondered where she was. You know, I am one who is concerned about others whom I have met and dealt with that was during my college days. Heh that is just the way I am. So I was curious where Jen went. After all the hurdles in life I decided with the help of my sponsor to get a job in Singapore. From the first moment I got there, I felt that my life was meaningless, I was very sad and lonely. I cried all most every night because I missed my family and friends back home. It was all too much with the new environment, new faces, cultures, my world as a whole was brand new. I hoped to at least find a new friend in Singapore so I started to go out side and walk to look around who knows I might bump some pinays outside. One Day, I went to Parkway Marine Parade it is a big shopping center in Singapore there I accidentally ran into this girl. It turns out it was the girl I was looking for few years back while I was in college. Yes she was my classmate who left and went overseas. She had gone to work in Singapore too. I thought I was just dreaming when I saw her face but I realized it was really her. Small world huh! Since then, our casual friendship turned into a really strong friendship, BFF's. Our meeting in Singapore changed both our lives especially since we were so far away from our families which is the hardest part of being away from home. Find her helped me to cope with being so homesick myself. So, we called each other everyday,we went outing, shopping, food trip etc.. Indeed! she became my best friend. We had so much fun with each other, I have learned so many things from her, she's the one who is very strong and hard working friend I missed her terribly while writing this I have tear in my eye thinking about her, the good deeds and kindness she have showed me while were still together is inevitable. She's very patients, understanding and all the qualities I look for a friend is in her's. Until one day, I have found my soul mate and I need to leave her to be with my "Babe Dako", she cried a lot. The pains that I brought to her heart was so helpless, our closeness having grown so much and having learned to love each other not only as a friend but as a real sister. The remaining days of my stay in Singapore before I came here was so hard, my heart was tearing apart when she called me every single day to let me know how sad and lonely she would be when I was gone. My heart felt so much pain, I drifted every time I heard from her saying how she missed me and being alone when I leave. The day came, time for me to depart and left my best friend. That was the saddest day of my life, knowing that I would be facing another world and starting over to find a new friends in my new home. I was not even so sad when I left my former American boss but my best friend made me really hurt. She means the world to me, I have found a true friend in her. She's so caring, thoughtful, humble and kind, I can't say enough to describe her in words. Finally, I can't hold on the world to turned around and comes the day we say good bye to each other,'twas a sad day were drifting apart on Dec 27, 2006 however, our friendship goes on and continues to grow no matter the distance it's always there. We're still best friends forever! To my best friend I hope you read this. I want you to know that you truly were my best friend! I missed everything about us. The only thing that gives me any kind of hope is that I know I will see you again someday. I pray we may able to stop over in Singapore when we go visit in September. I love you with all of my heart I am so blessed to have you as my friend. You are still in my heart as my best friend even though we are far apart. I am forever grateful for having you. Friends forever ok? I will do my best to still keep in touch with you by any means of communication to let you know how I really missed you. I wish you the best of everything and pls don't forget to update to me your new location. I missed you my best friend JEN. Well, sometimes bestfriends would really be separated due to certain reasons. My bestfriend in college went to USA to work there and I am happy because he is making his career better and of course it was good for him because it gave him a high paying work but I was sad because it separated us and was sad also because he left his girlfriend who is our common friend. But still the sadness is outweighed by the positive things that would benefit him. I know your bestfriend is happy for you too. Hu hu hu naiyak ako. Remember ko tuloy ang bestfriend ko na para ko din tunay na kapatid. Gamay, ur story same sa akin ang kaiba lang nawala siya for long at nakita mo sa Singapore. Sa amin naman we are bestfriend from first year high school then tapos namin graduate high school umuwi siya sa province nila at doon start wala na kami kontak bigla lang siya nawala. Until oneday, katapos ko lang college nakita ko siya sa isang tindahan nag work siya at doon ko nalaman na di pala naka skol nang college kasi di kaya nang parents niya at wala siya money. Kaya bumalik siya sa Davao at doon nag work nalang. At that time na nag-asikaso ako sa papers ko papunta US pinatira ko siya kung saan kaming dalawa pagkasama. At that time ready na ako lipad papunta US sige siya iyak2x kasi nga di niya alam saan naman siya punta kasi wala na ako. At after 3 months since nalaman ko nalang na she na she met a guy too at pregnant na siya at ikasal na siya . That time I'm happy for her kasi may kasama na din siya pero after 1 month nanganak siya sa kanilang baby her husband namatay....how sad.